AppTek, based in McLean, Virginia (USA), is a leading company providing automatic speech recognition and machine translation technology to transcribe, translate and analyse telephony, audio and video content, with over 25 years of experience. Their proprietary and patented ASR technology with deep neural networks is used worldwide by government organizations, media agencies, call centres, leading retailers, and others who have a need to unlock the value in their audio and video assets. 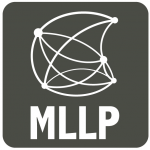 The Machine Learning and Language Processing group (MLLP) is a research group at the Universitat Politècnica de València (Spain) working on the areas of Machine Learning and Applications, Natural Language Processing, and Educational Technologies and Big Data. During its most recent projects (such as the EU projects transLectures, EMMA and X5gon), the MLLP has had a strong focus on developing and deploying state-of-the-art systems for automatic transcription and translation of media and text in several languages, based on self-developed technology (which can be tried with your own media files at http://ttp.mllp.upv.es/). Under the technological support agreement signed in 2017 between AppTek and the UPV, the MLLP is providing consulting services on machine learning and language processing to AppTek. Given the success of this collaboration, AppTek and the UPV have signed an extension of this agreement. We at the MLLP look forward to continuing our fruitful cooperation with AppTek. Posted in All, Projects and tagged AppTek, Machine Learning, MLLP agreement, Natural Language Processing.